Papers: 1 volume (in Spanish). Papers: 5 letters (1816-1817, 1824, 1828) in the Adelman collection. Papers: 1785-1851. ca. 4,250 items. Correspondence and papers relating to his education, travels, political interests, and diplomatic, congressional, and Cabinet service. Described in published guide. 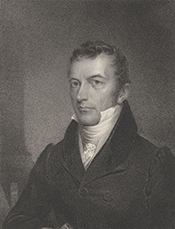 Correspondence, journals, notes, and memoranda, chiefly 1810-1821, relating to his activities in South America and as chairman of the South Carolina Board of Public Works. Correspondence, documents, and other papers relating to his public career. Papers: In Charles Lyon Chandler papers, 1803-1961. ca. 3 feet including 41 volumes. Includes his unpublished biography of Poinsett, collected letters to and from Poinsett, and copies of Poinsett papers, 1803-1852. Correspondence and other papers relating to politics, Latin American diplomacy, his travels, and personal matters. Described in published guide.